Lab packing is the procedure of categorizing, inventorying, packaging, and disposing of small amounts of chemicals, toxics, and laboratory waste. Regulations surrounding packaging and hazardous waste label requirements are very strict and require a degree of expertise in handling the material. It is, therefore, a technically demanding service that is made easy and convenient with the availability of chemical lab packs. As defined in the RCRA compliance manual, lab packs are, “Drums filled with many small containers packed in non-biodegradable absorbent materials.” This type of packaging is most commonly used by hazardous waste generators that may accumulate many small containers of hazardous waste for disposal. Chemicals can go unused for a variety of reasons. Waste can build up from expired, unused or overstocked inventory, or various byproducts when chemicals are combined. The accumulation of unused material by hazardous waste generators can range from acids, reagents, aerosols, and cleaning agents to inks, dyes, paints, and solvents produced or stored in laboratories and closets at medical facilities, colleges and schools, and hospitals, or at chemical, industrial, and manufacturing plants. Waste cannot be permanently stored at the facility or institution it was created at. Depending upon your generator status, It must be removed within 90 or 180 days. Lab packs provide an important and useful service for companies, institutions, and the community. Chemical waste produced by labs, businesses, schools, universities, medical facilities, hospitals, warehouses, or maintenance departments is a byproduct of industry. By law, companies and institutions are responsible for that waste, arranging its removal and its proper disposal. 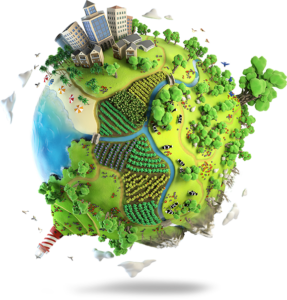 It is not only an environmental responsibility of your company to see to its proper disposal, but for your entire community. Lab packs facilitate the packing, transport and disposal of unused chemicals that cannot be discarded through normal means of disposal because of the dangers they pose to the environment. The DOT standards for lab packs ensures that the hazardous material waste is properly moved, treated, and disposed of, while offering exceptions to facilitate the ease of transporting smaller shipments. This further ensures that the public and the environment are protected, communities are served, and companies and institutions can avoid potential fines. What Regulations Apply to Lab Packs? 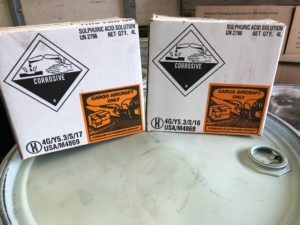 Because Federal regulations have different hazard classes, packing groups, and proper shipping names for the transport or disposal of hazardous waste, lab packing is a way for shipping smaller amounts of some types of hazardous materials while adhering to Department of Transportation regulations. Specifically, lab packs provide exceptions to the rule for the shipment of hazardous waste as outlined in the Hazardous Materials Table (HMT) 49 CFR 173.12. The exception provides relief from the requirement to use technical names when shipping lab packs of hazardous waste as long as they are packaged in combination packagings. HazMat certification is also not required. This provides a degree of ease for hazardous waste generators and hazardous waste management services for shipping. Before the waste can be shipped, a lab pack chemist should oversee the packing to properly separate each material per US Department of Transportation (DOT) regulations. The chemist needs to organize the waste according to hazard class, packing group, and proper shipping name. Combination packaging requirements for the hazardous waste lab packs can only be utilized if the inner packaging is either less than a 1 gallon (4 L) glass container or a 5 gallon (20 L) metal or plastic container. Any liquids in the inner container must be surrounded by a chemically compatible absorbent material sufficient to absorb the liquid contents if circumstances require it. Still Worried About Complying with Complex Shipping Regulations? Let the experts at MLi Environmental take any guesswork out of the process. With everything from chemical lab packs to hazmat audits & consultations, we have the experience you need to make hazardous material or waste disposal stress-free.